Turns out Jody — who goes by Reinventing Fashion (soul sister of craft!) 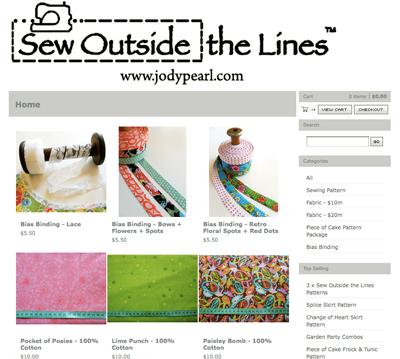 — has a full-on web site where she sells her wonderful patterns, fabrics, and trims. 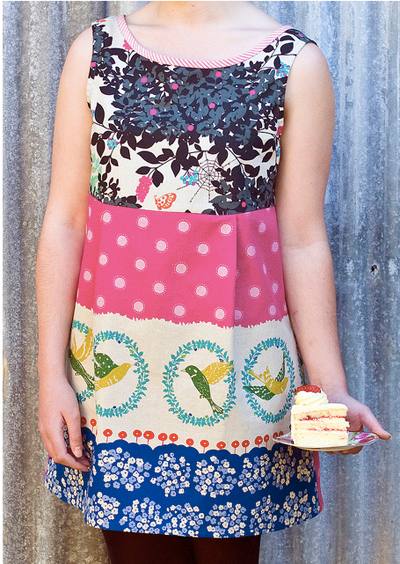 I fell in love with the Piece of Cake dress, pictured in this post, and emailed her to ask just how piece-of-cakey it might be for a fledgling sewist such as yours truly. My guess is that regardless of the answer to my question, I’ll be giving this a try… it’s just TOO tempting. 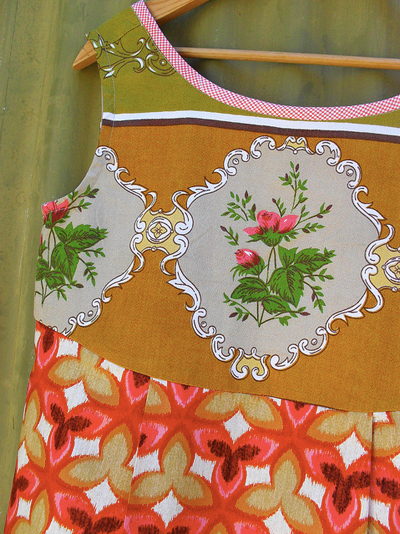 Visions of thrifted and vintage fabrics dance in my head, along with an entire wardrobe of funky, handmade tunic tops to wear with leggings and skinny jeans. Anybody want to mentor me on this (you know who you are…)? Here’s a link to the pattern, but don’t miss these pattern packages which also include some of her lovely fabrics. Sew adorable! I too, love the piece- of- cake one with the siderweb and birds in the print! I think you can do this with no problem! I appreciate your faith on me! I’m collecting up some fabrics but have to wait for the pattern to arrive from australia! Hmm, wonder if I have any fabrics you would like…I’ll dig around! LOVE the dress–I’m coming over to check it out! Thankyou for this wonderful out-of-the-blue surprise! Pattern package is on it’s way.